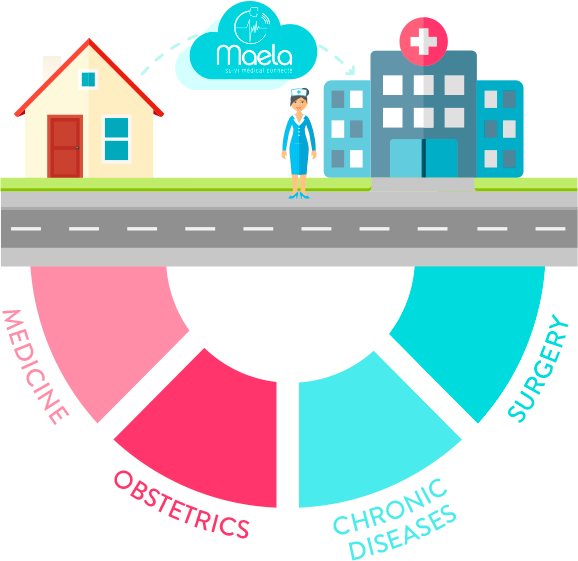 Maela is an online medical follow-up solution, intended for healthcare facilities and their medical teams. 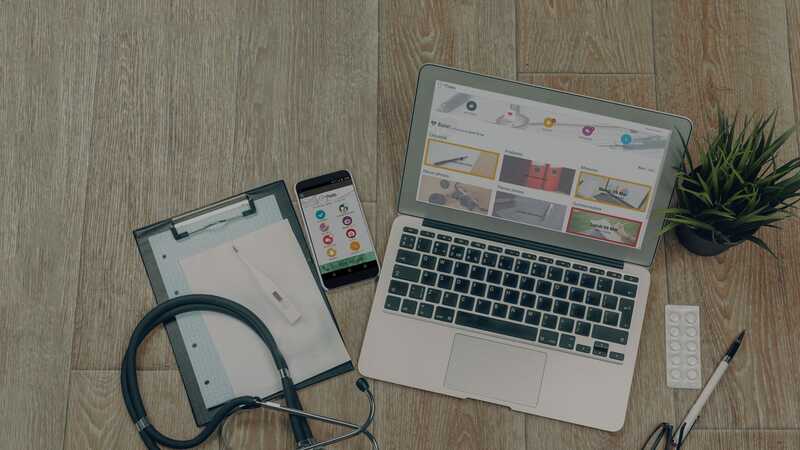 Our solution allows you to offer your patients, the preparation and follow-up that are essential for optimising care pathways. Maela is the ideal tool for the roll-out of ambulatory care and ERAS (Enhanced Recovery After Surgery), in your healthcare facility. 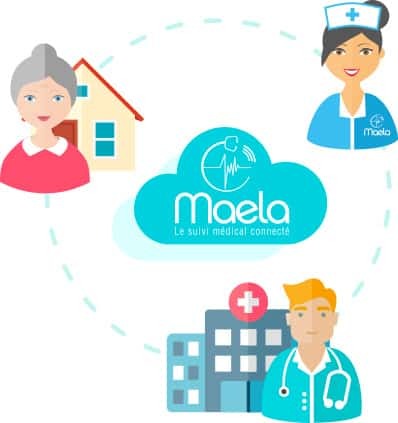 The Maela solution is a genuine lifeline between the patient and the healthcare facility. My home is 1 hour from the clinic where I was hospitalised and I felt I was taken care of and not left to my own devices on returning home. You feel safe and reassured. The platform content is accessible, clear, comprehensive, convenient in a smartphone format and positive. The nurses’ presence and their calls add a human dimension. You are not just answering a phone. The Maela nurses are highly responsive. Photos make it possible to obtain quick responses from qualified people with the necessary expertise. You are less fearful. No questions are left unanswered. I am very satisfied. I was very fortunate to have the Maela solution. I had a complication and the Maela nurses were able to provide me with a prompt referral. If I hadn’t had Maela, I don’t know what I would have done. You worry less. You are not too confident leaving the clinic, but it is a real bonus to have the Maela solution with you, offering peace of mind and a sense of security.